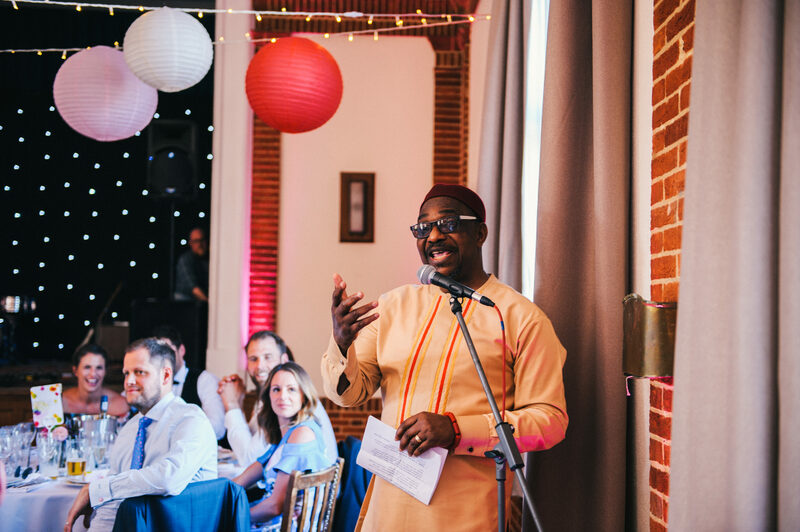 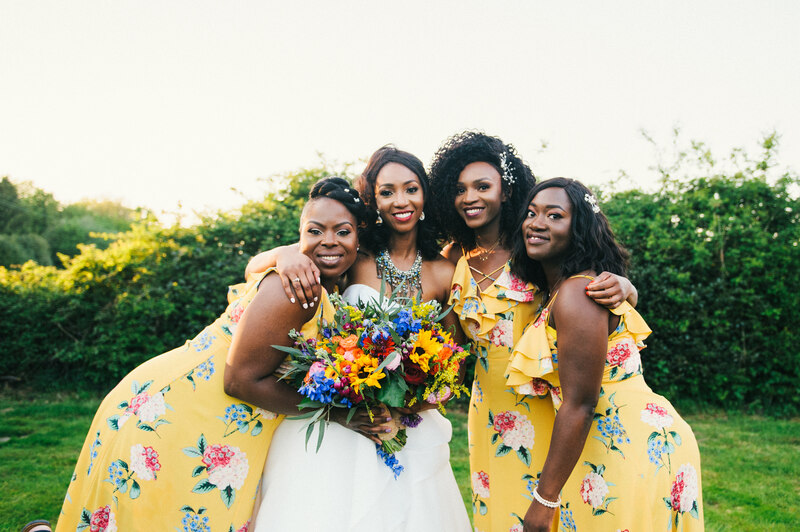 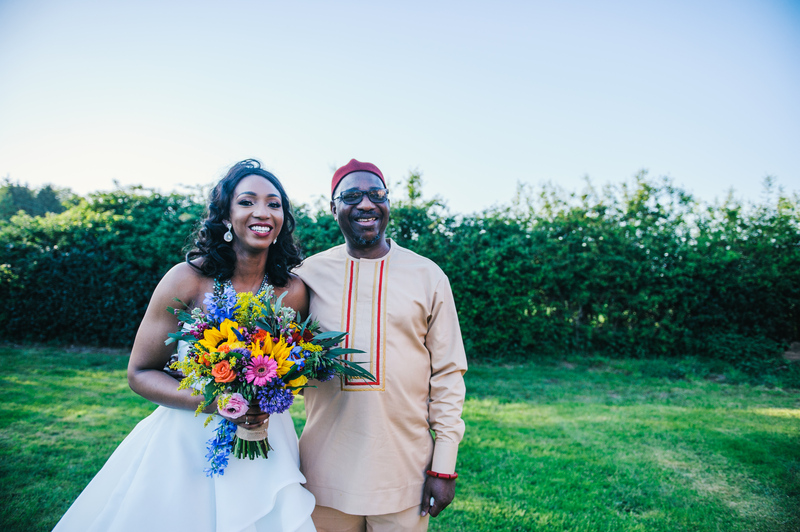 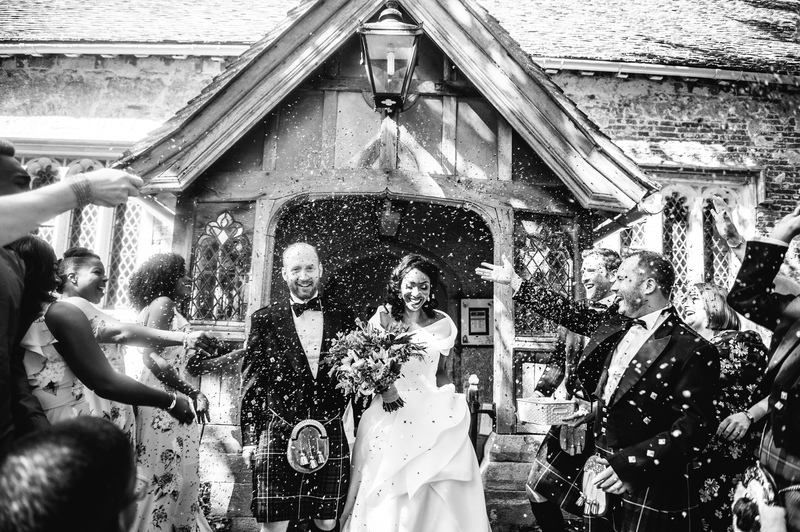 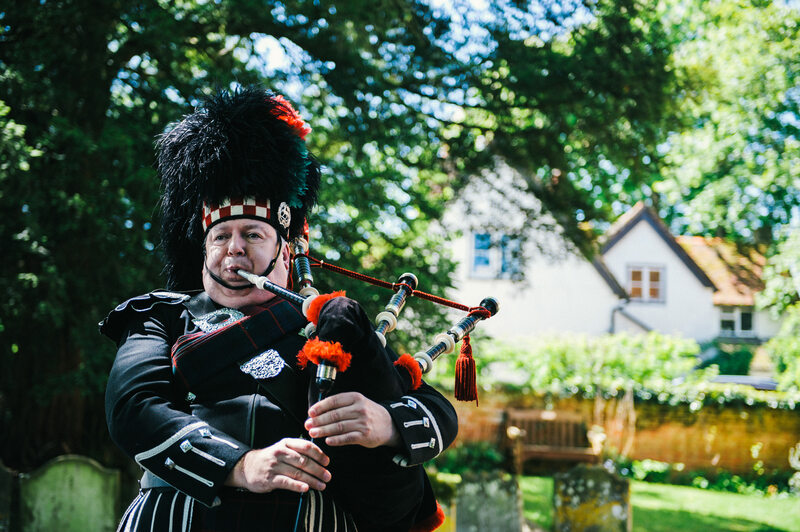 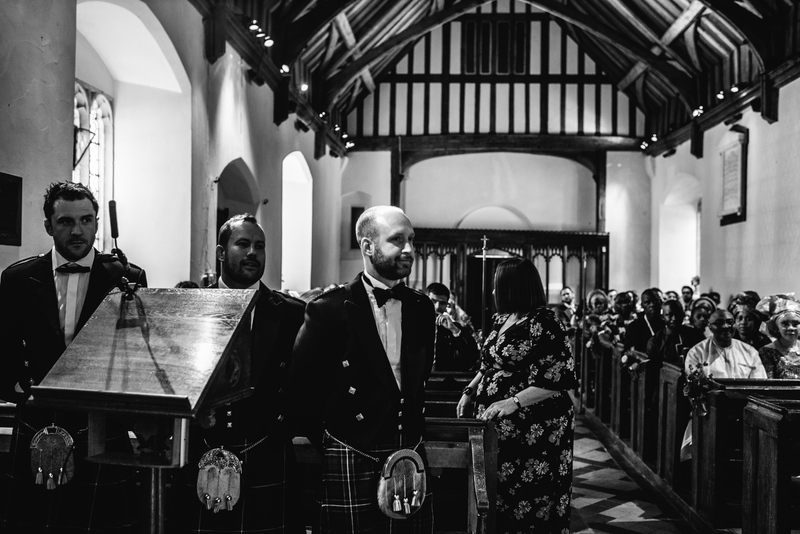 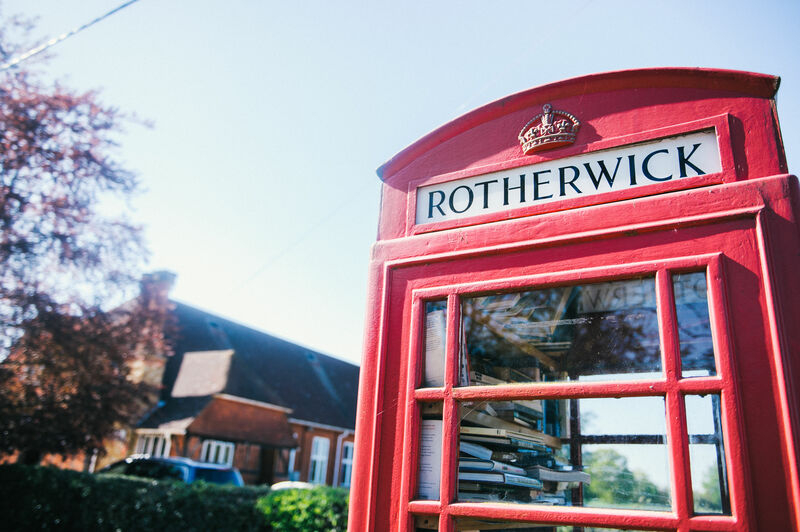 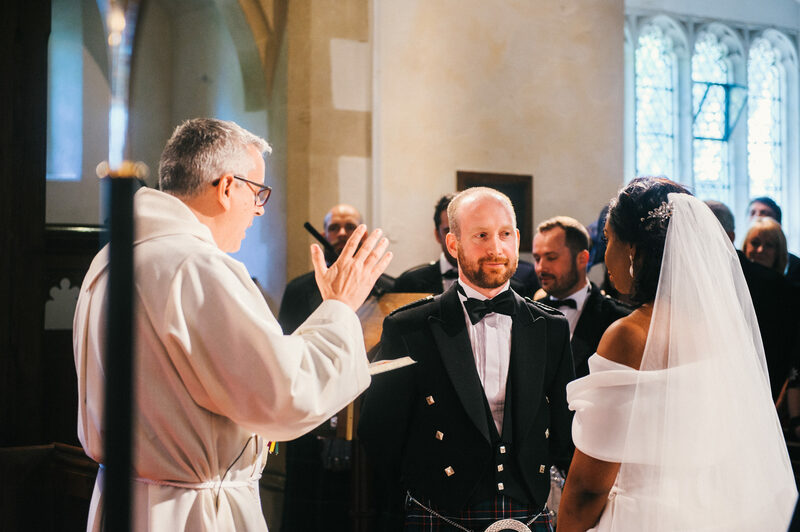 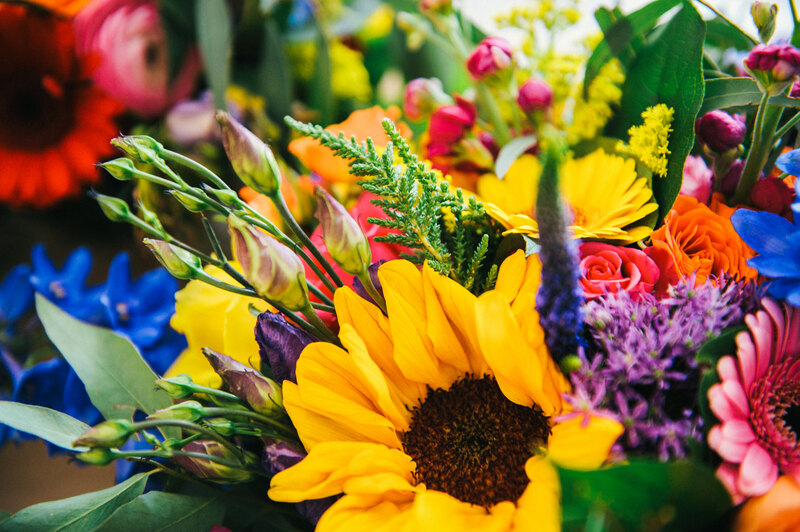 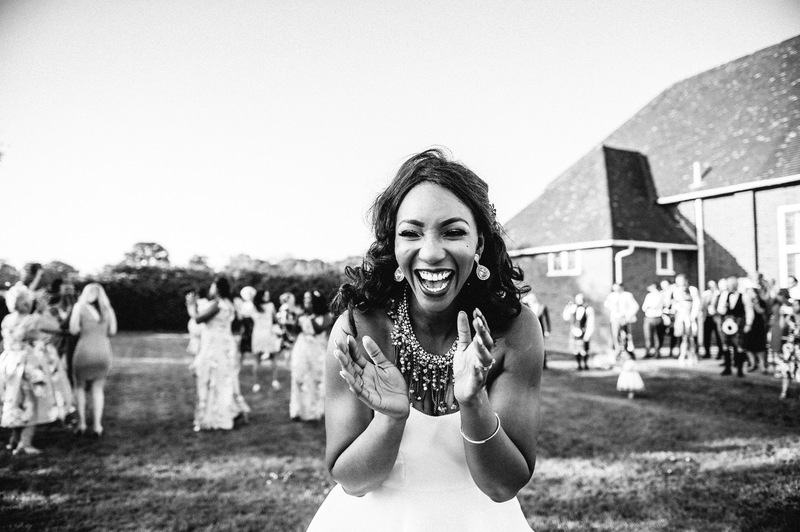 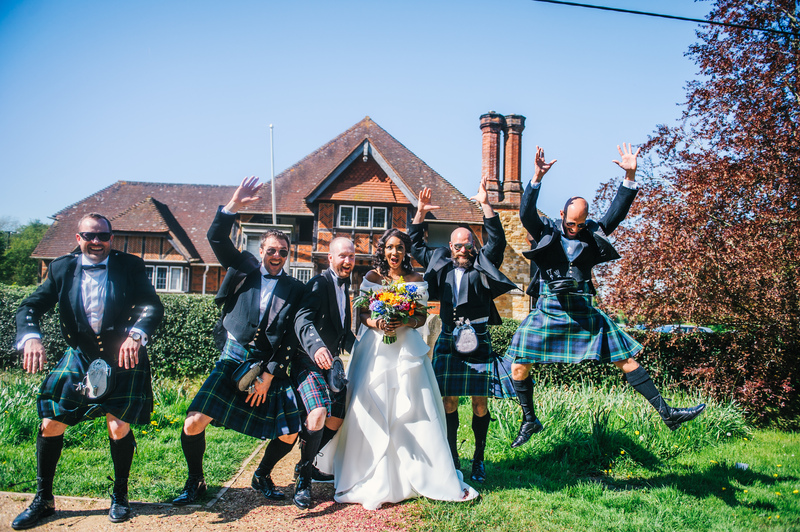 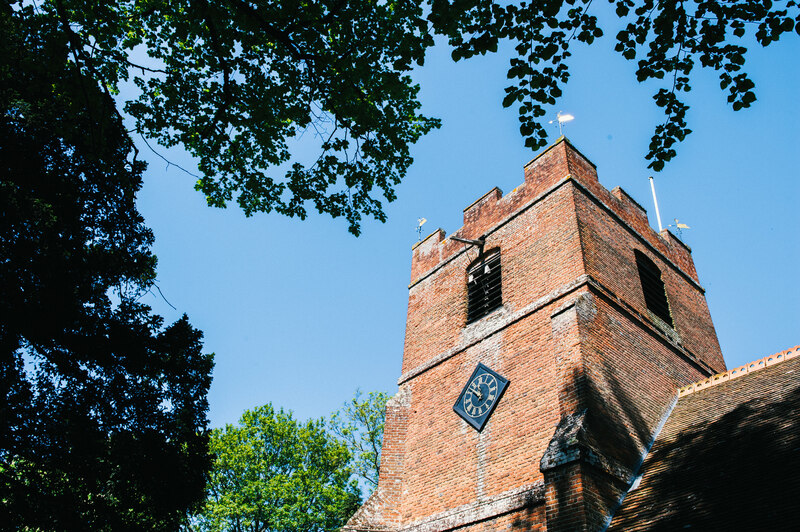 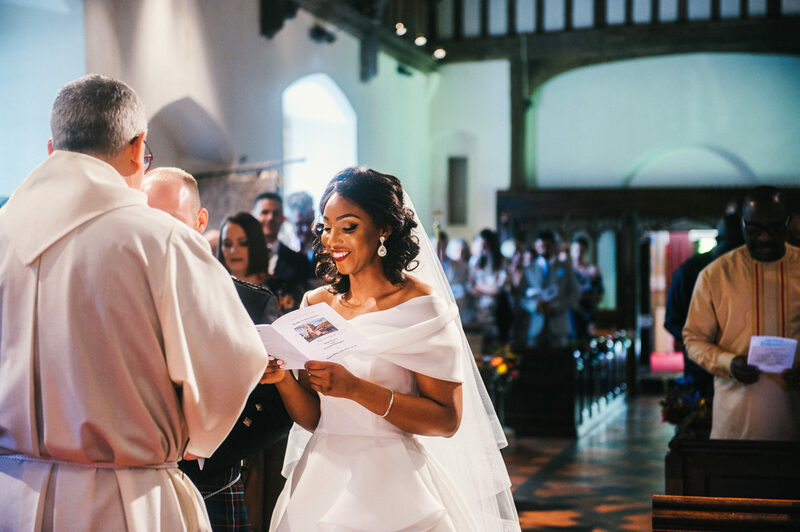 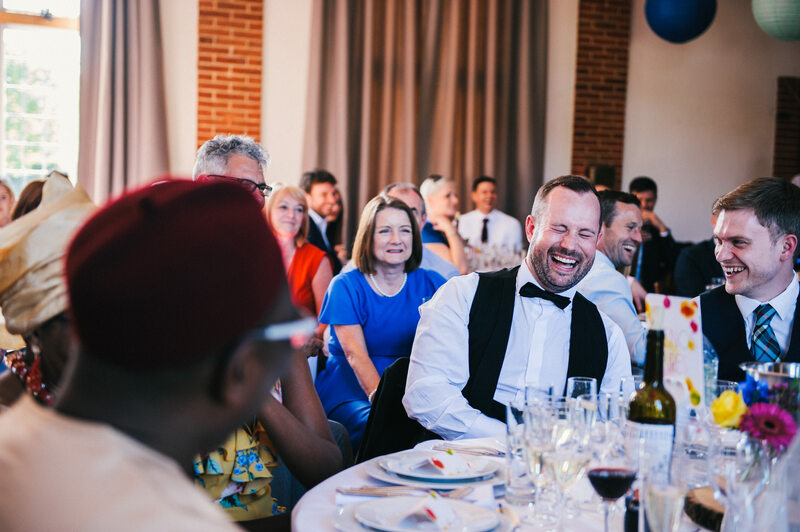 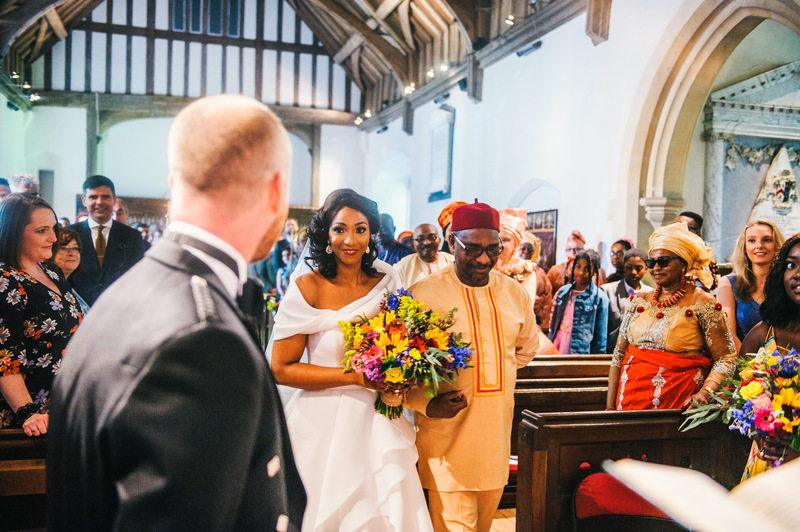 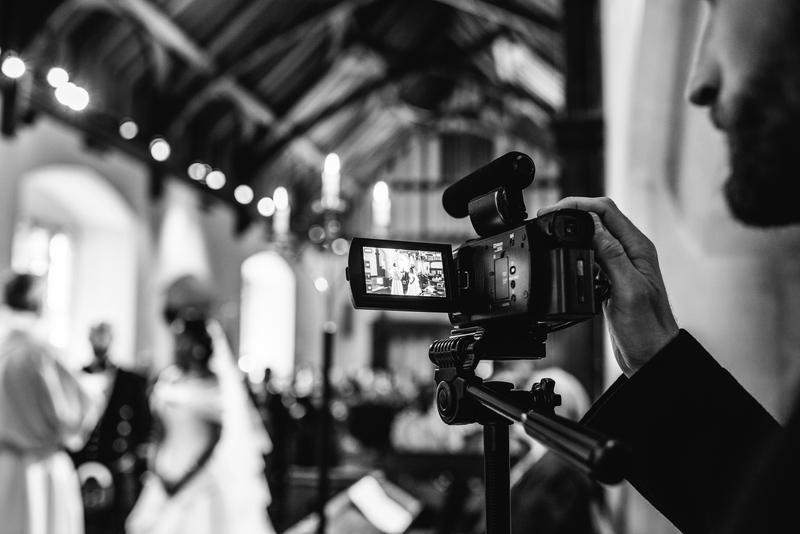 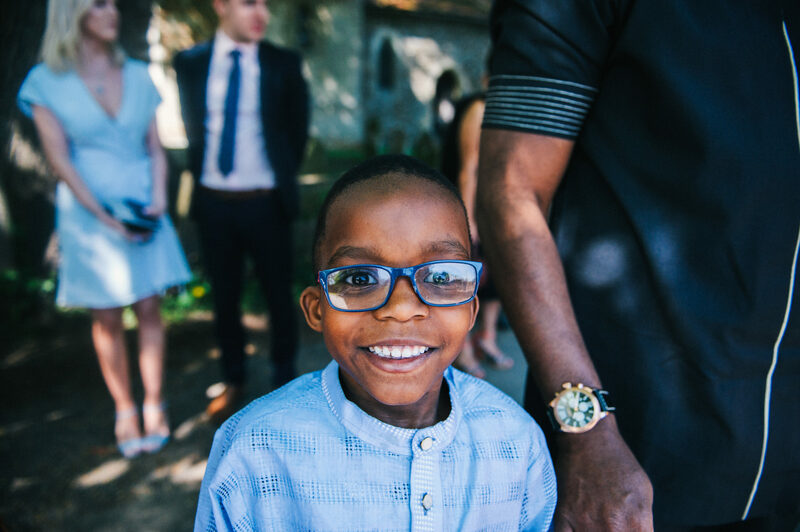 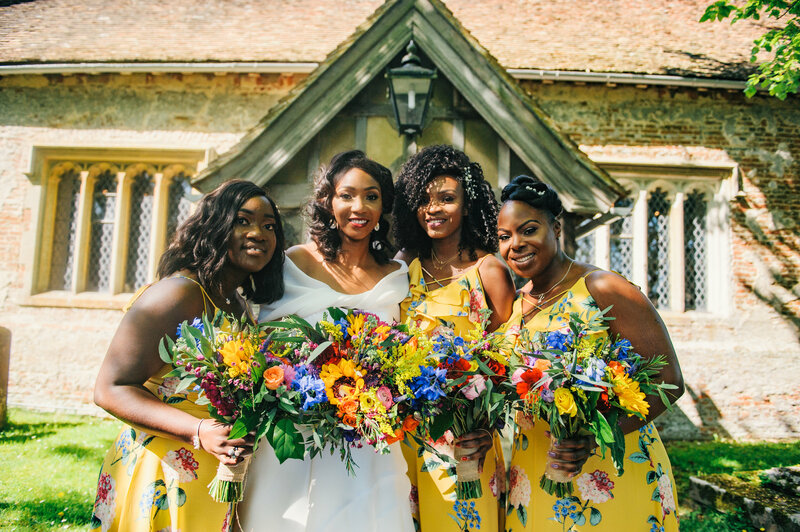 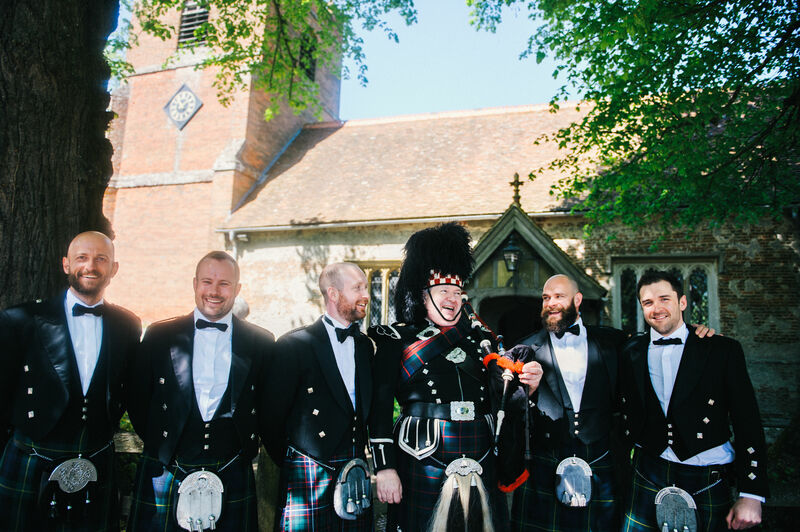 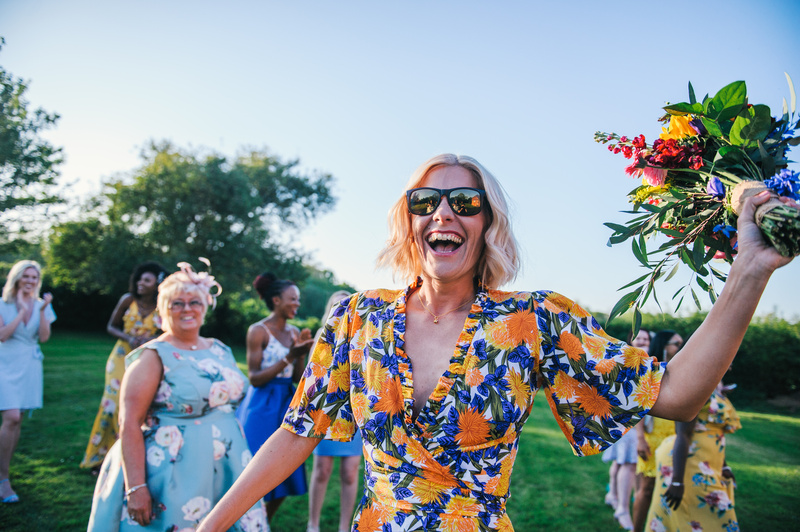 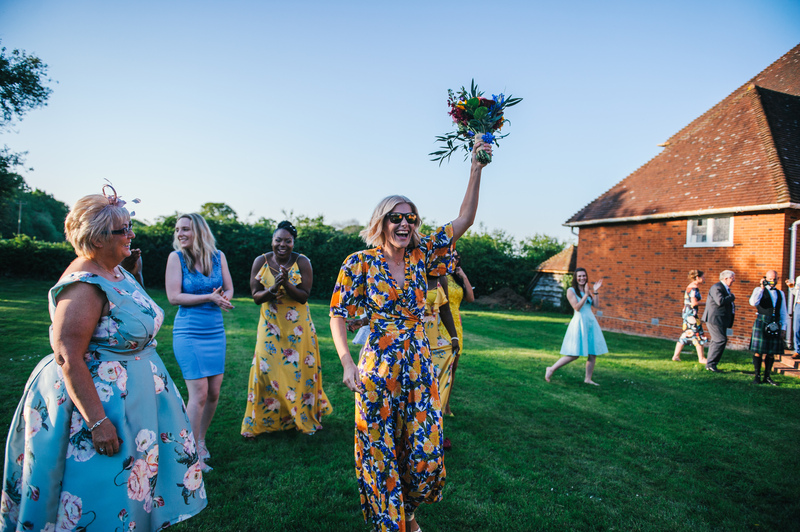 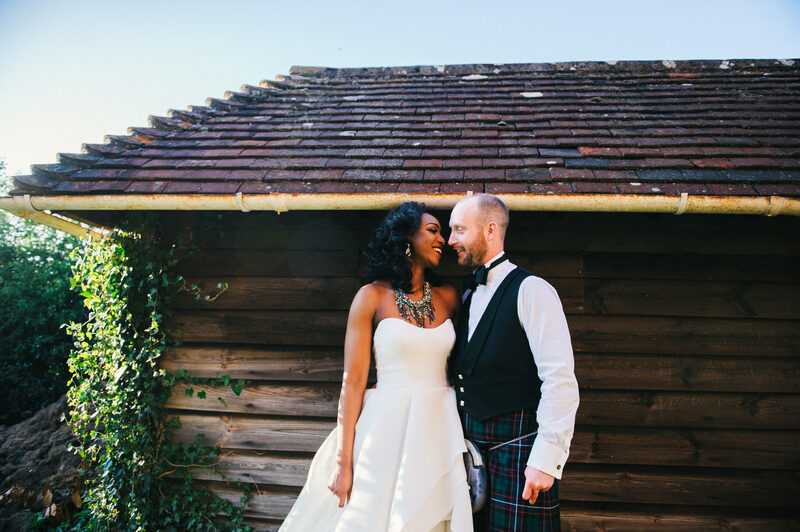 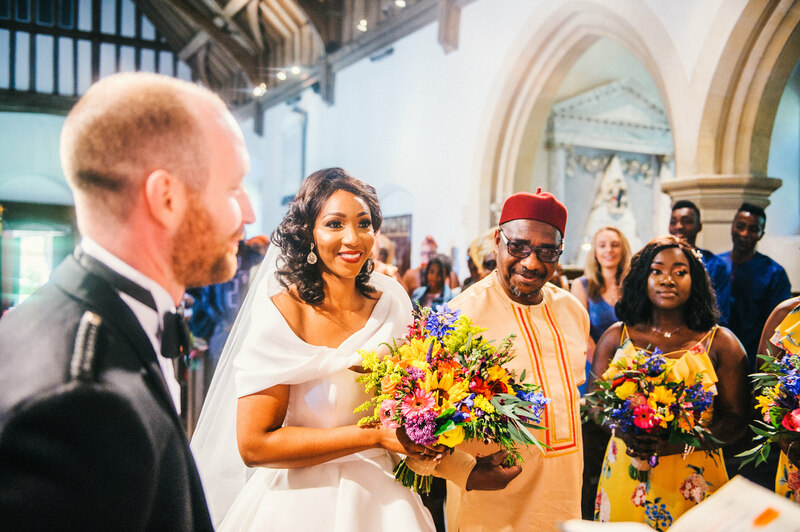 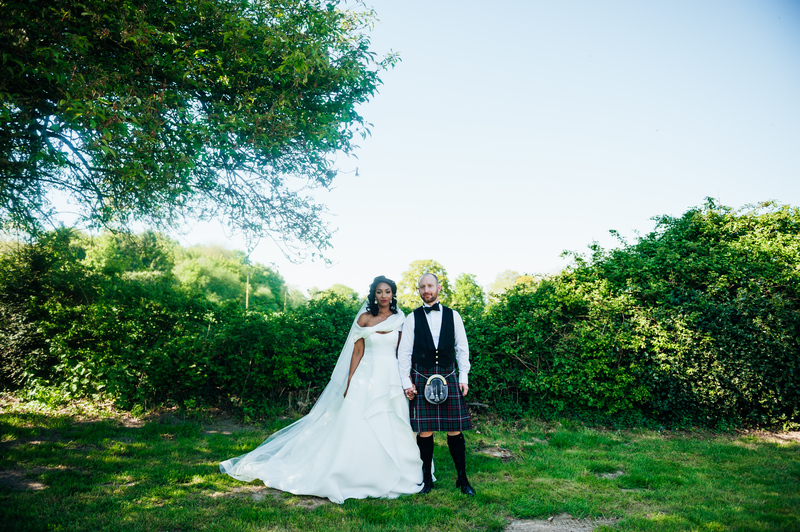 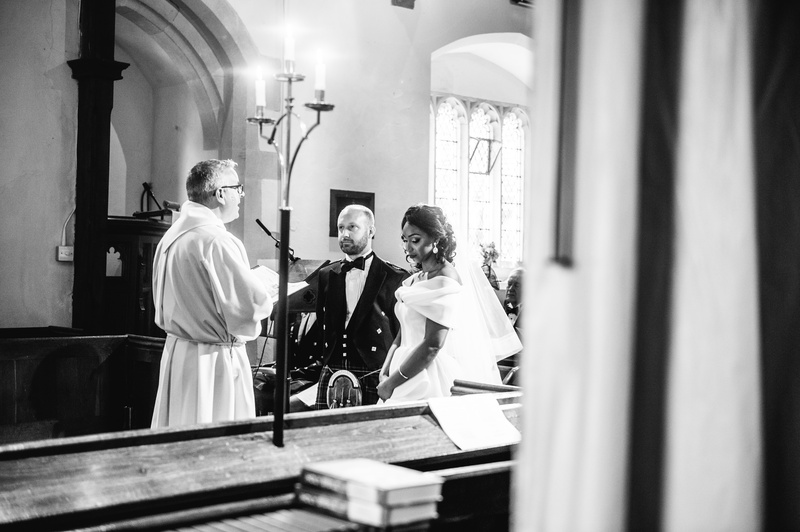 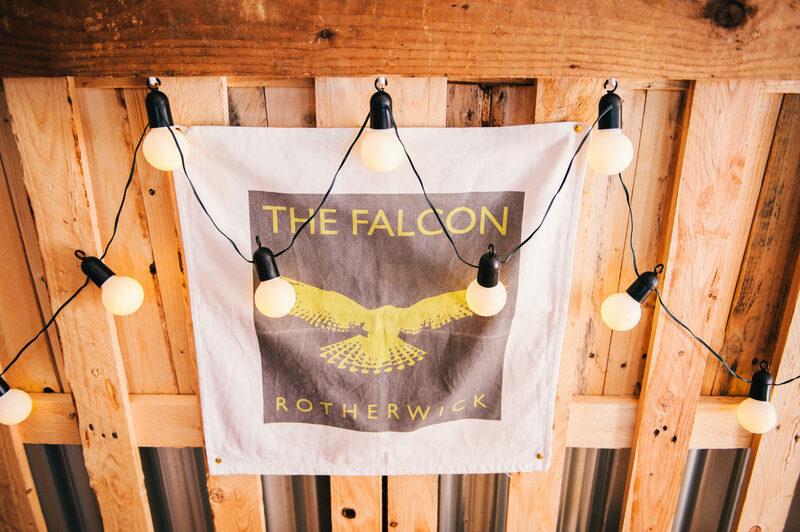 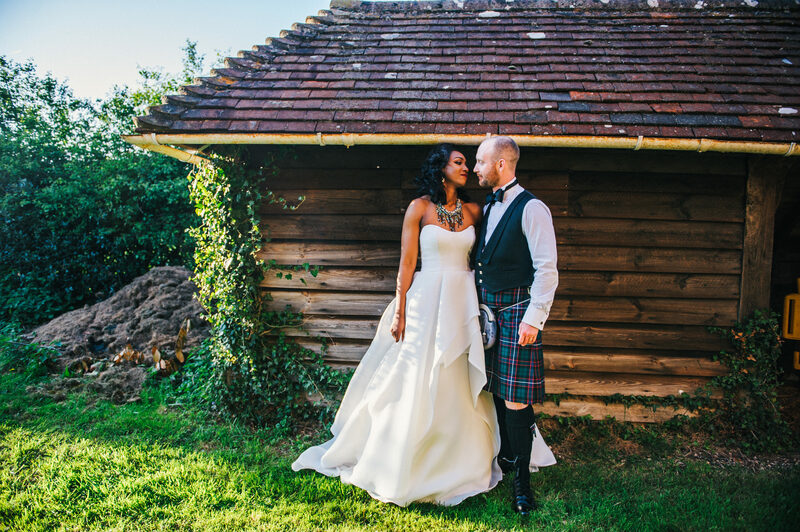 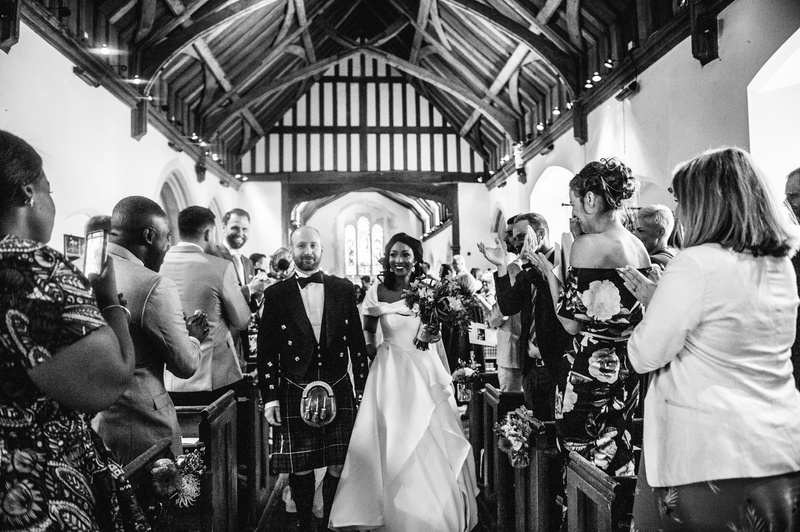 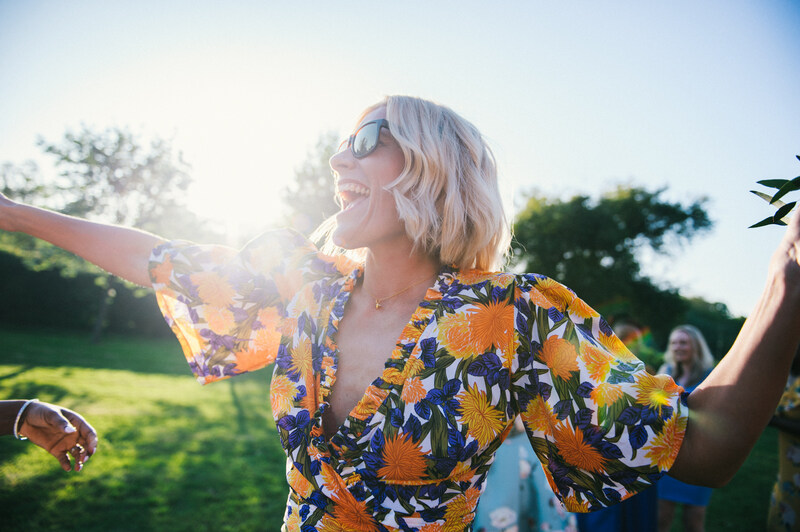 When Karen and Alan first got in touch with me about their Rotherwick Hall wedding in Surrey, I was so excited – they were planning a really fun and stylish wedding with a church ceremony, a live band and even a cocktail bar. 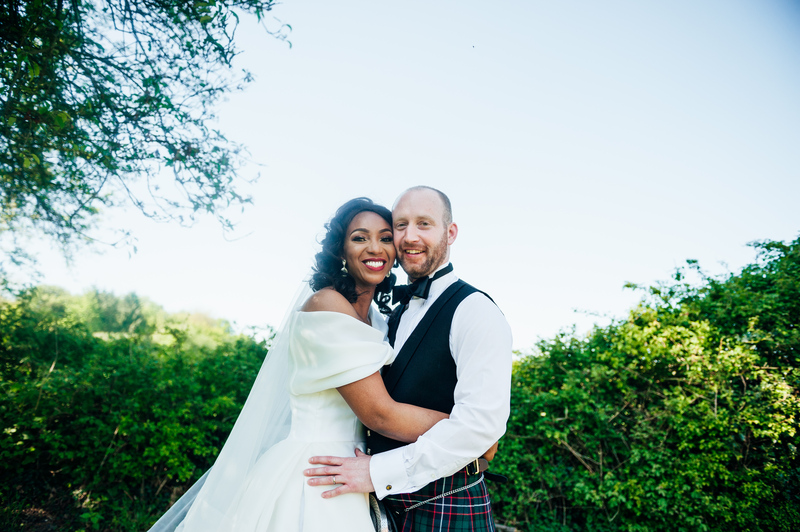 Karen and Alan are the sweetest people and I couldn’t wait to shoot their wedding! 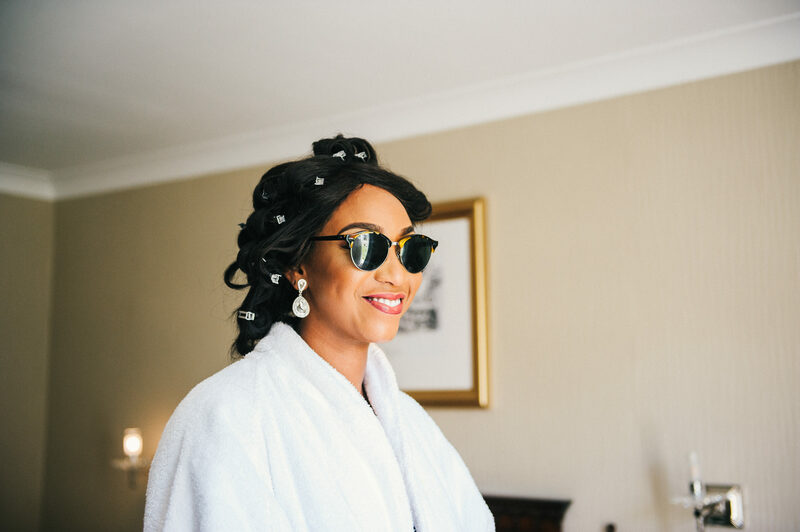 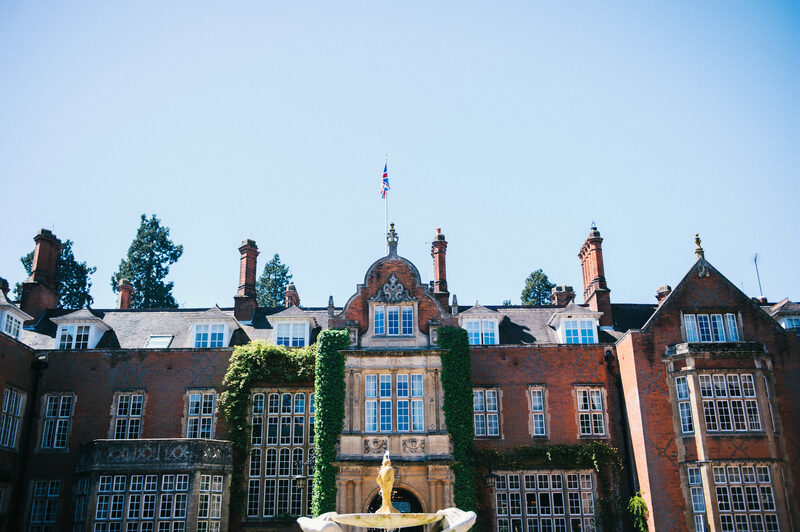 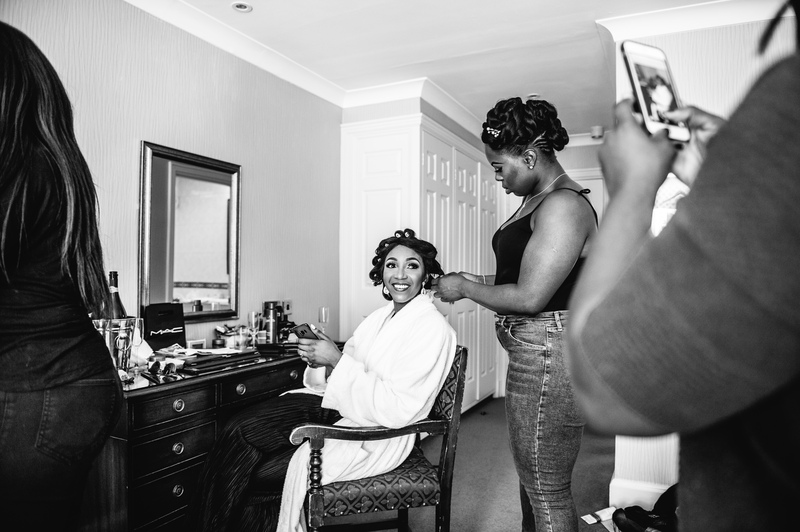 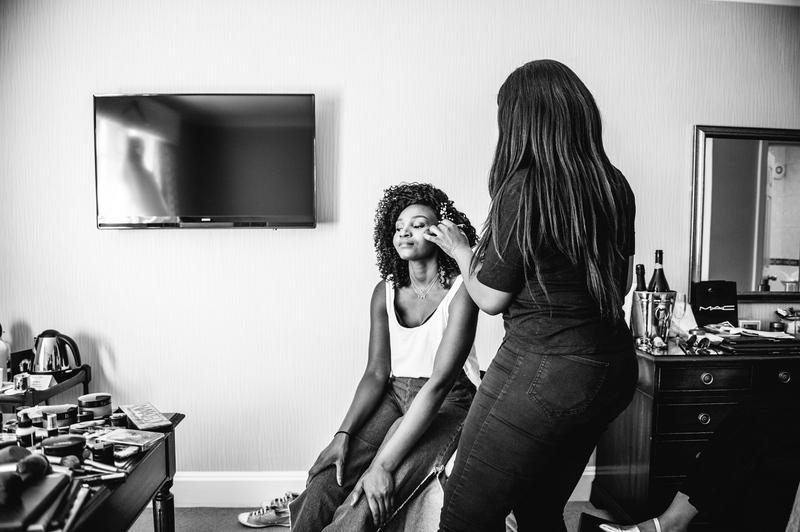 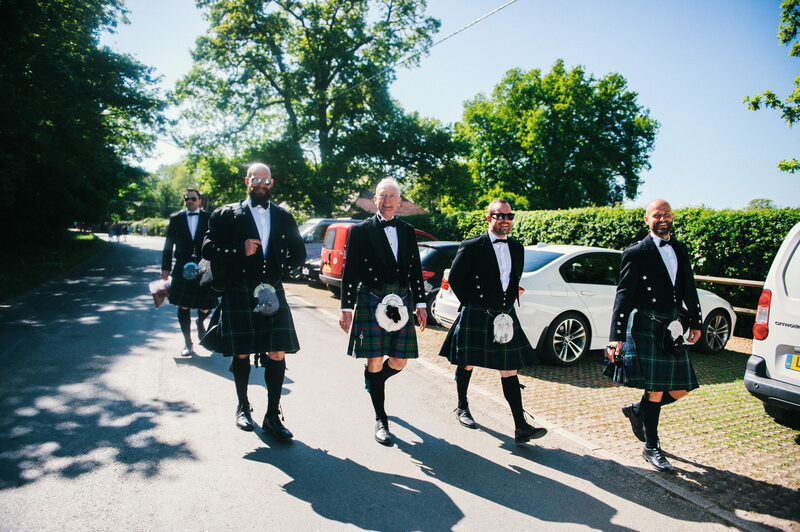 I rocked up at Tylney Hall Hotel which is INCREDIBLE, where the bride and her friends were getting ready, and it was so much fun, because everyone was in a good mood. 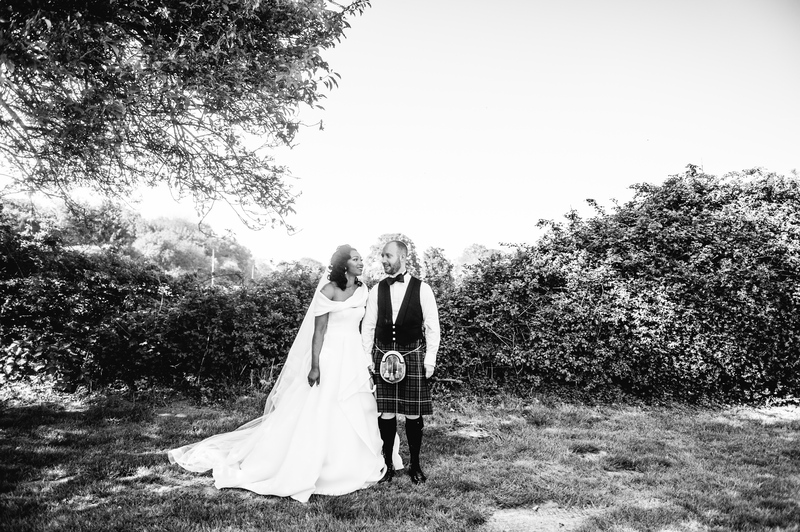 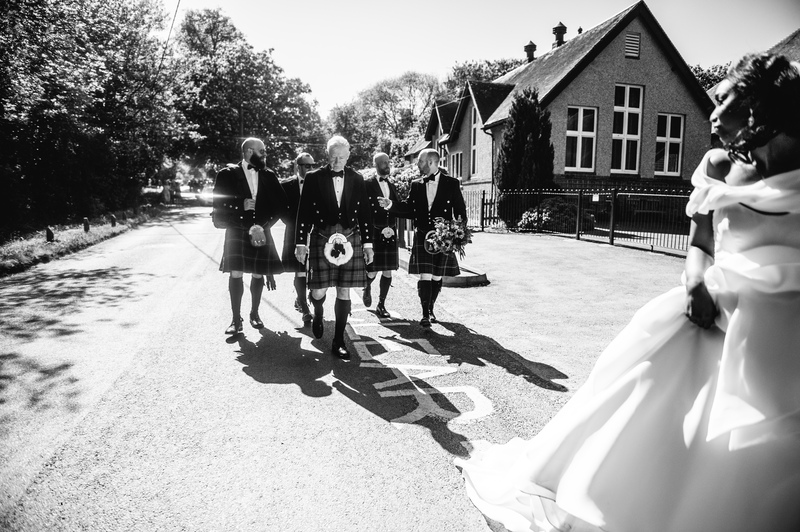 Karen wore the most fabulous Jeni Purcell dress and Alan wore a very smart Kilt, being Scottish and all, and they looked so incredible. 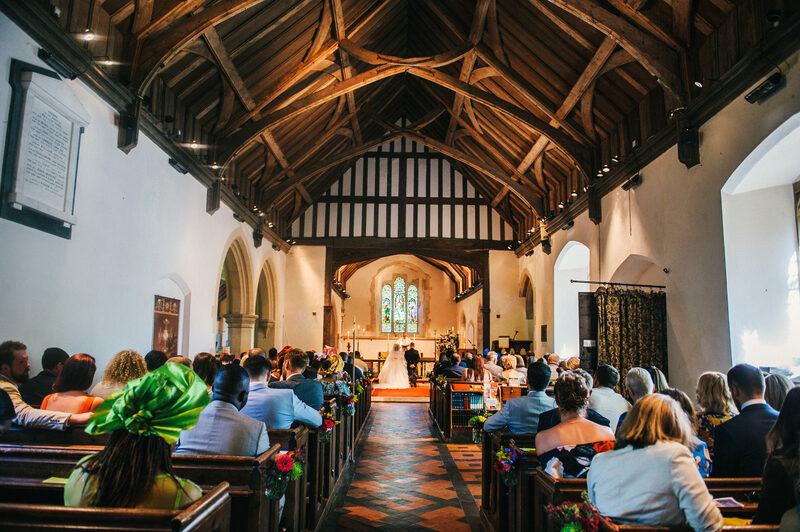 The wedding took place Rotherwick Church, and was a traditional church ceremony. 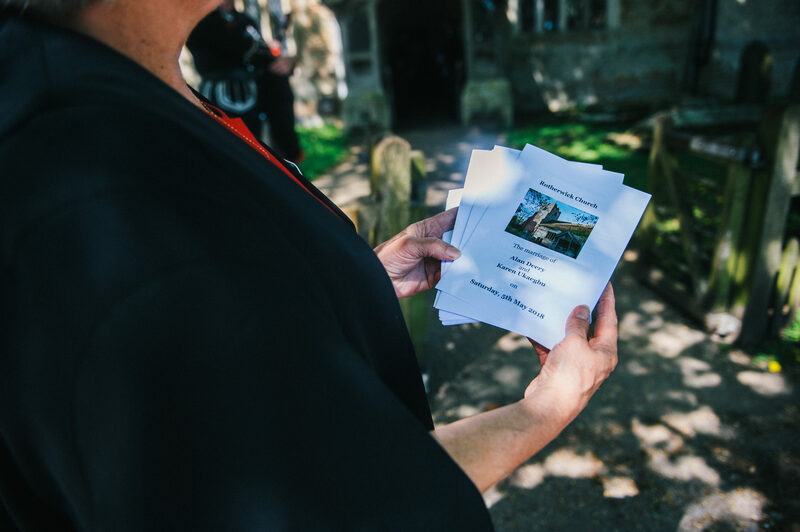 They had some beautiful readings, which brought pretty much everyone to tears. 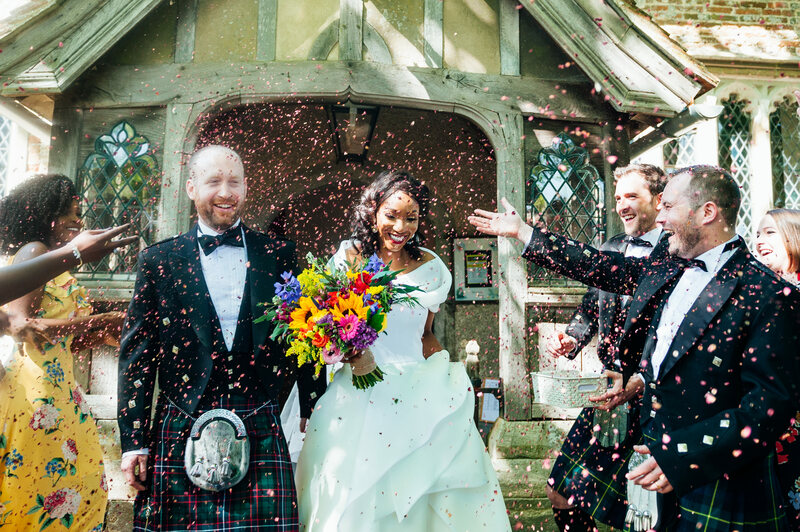 After the ceremony there was a big cheer from everyone, and then we did a confetti tunnel outside the church door. 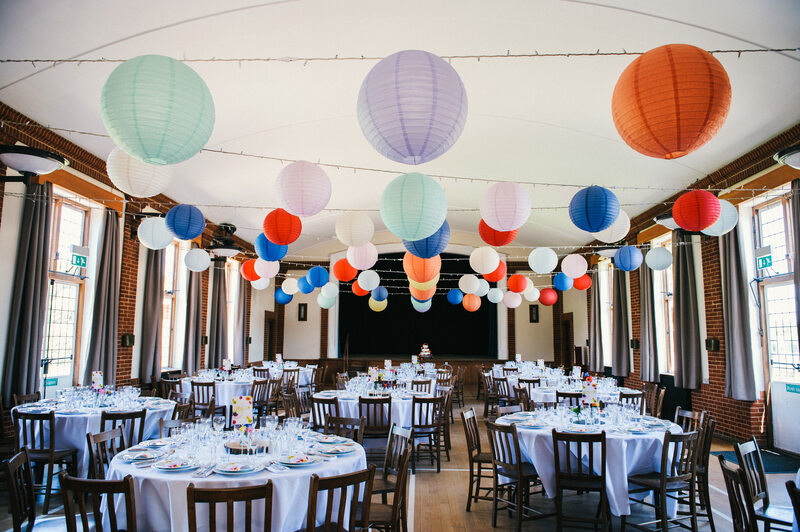 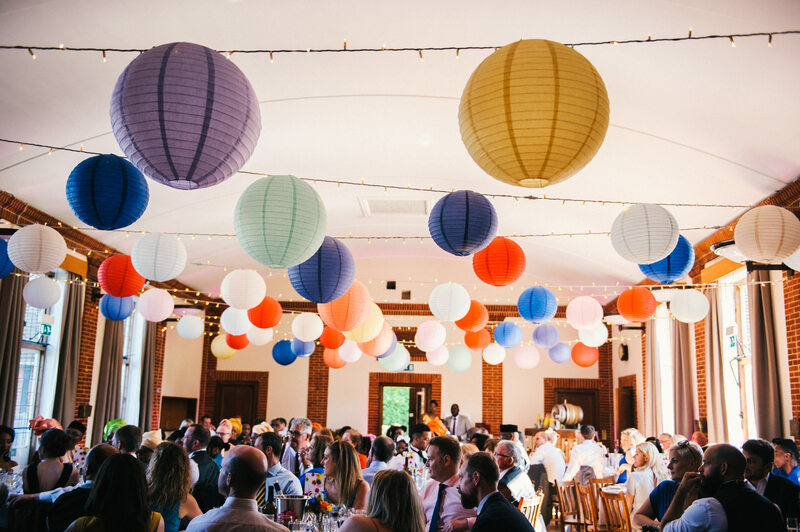 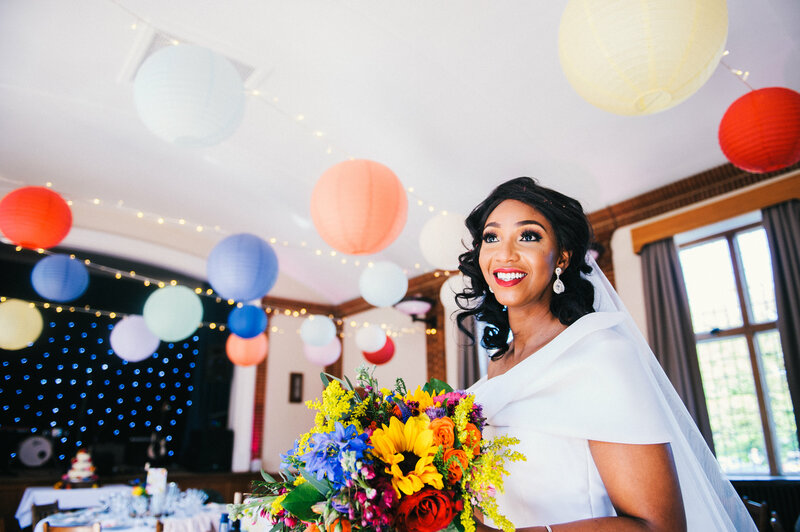 The wedding reception took place Rotherwick Hall, which was full of colourful lanterns and incredible flowers. 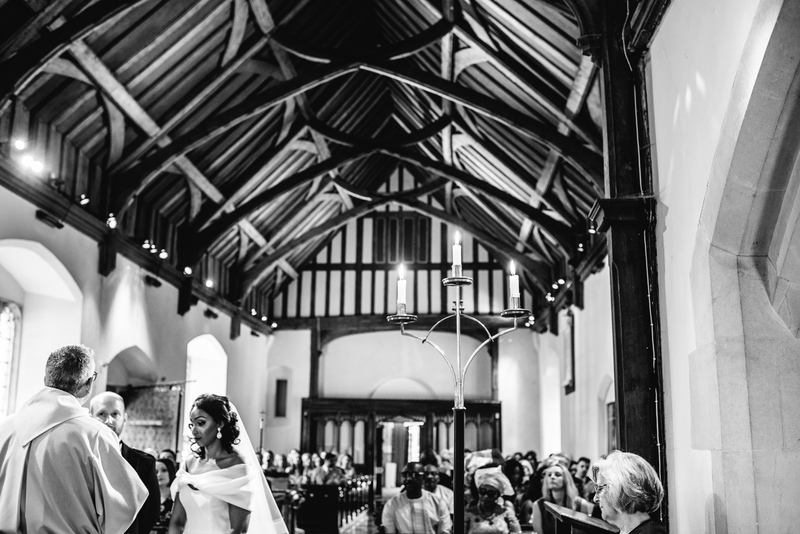 It was stunning. 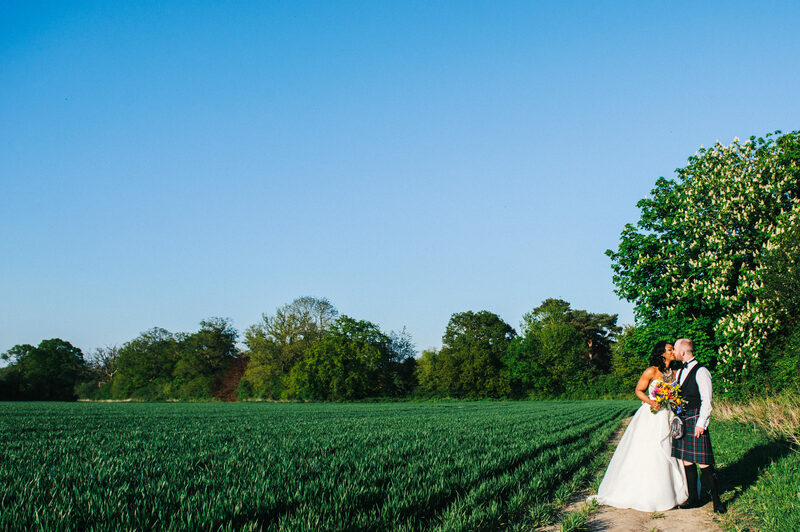 It was a beautifully sunny day, which was glorious. 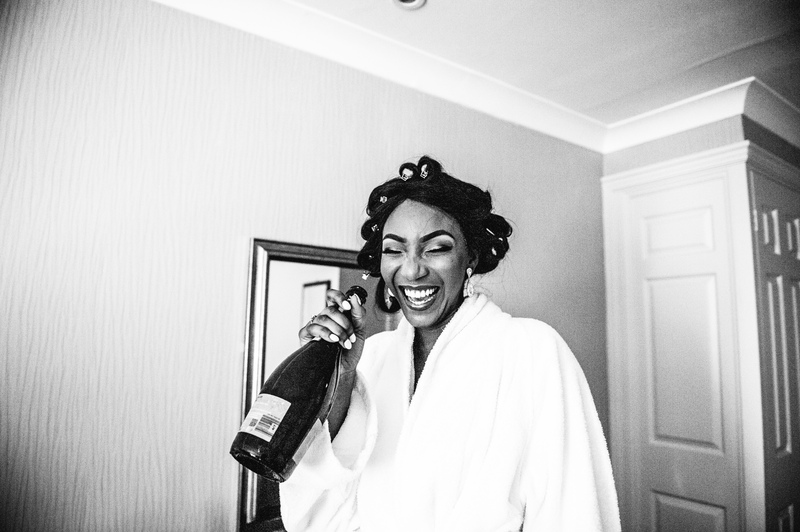 While the guests enjoyed canapes and cocktails, we wandered around the venue doing fun and creative portraits. 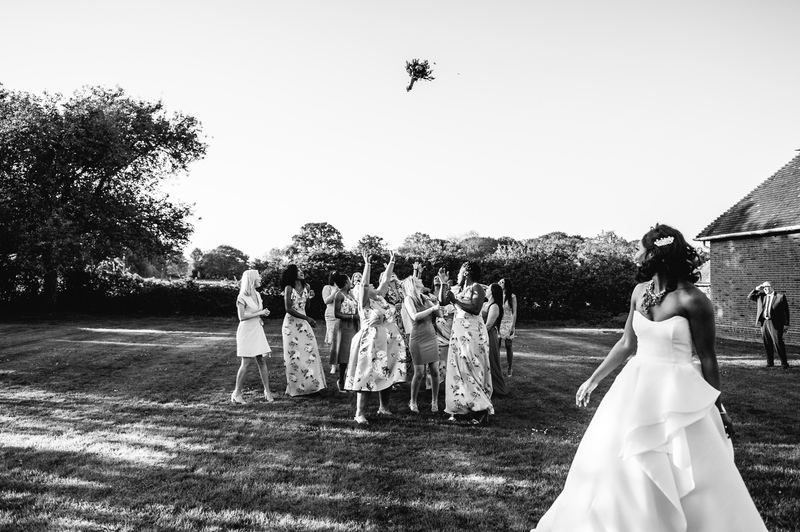 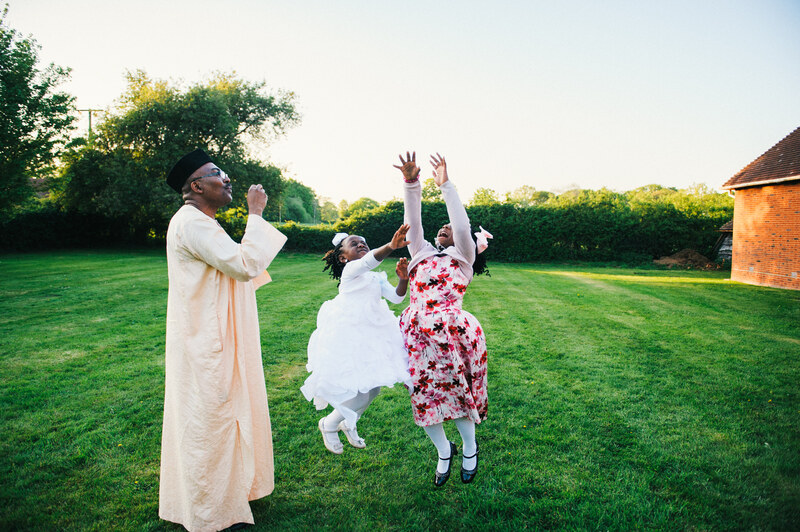 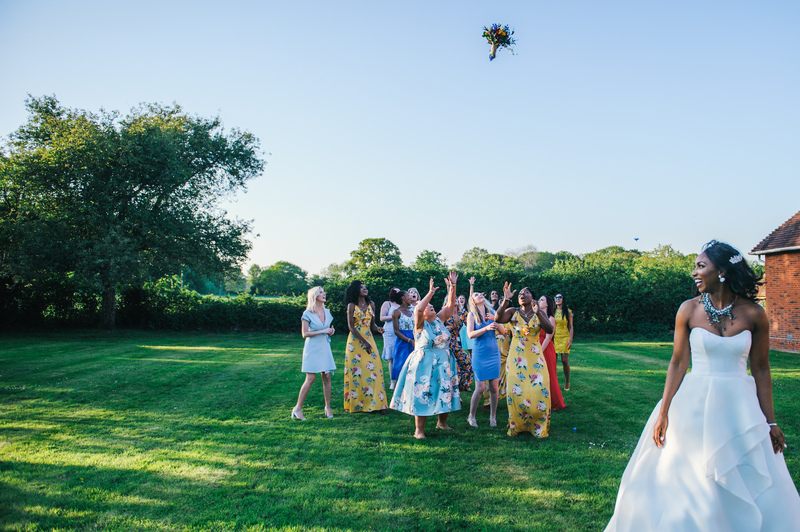 My favourite photo from the afternoon is tossing of the bouquet! 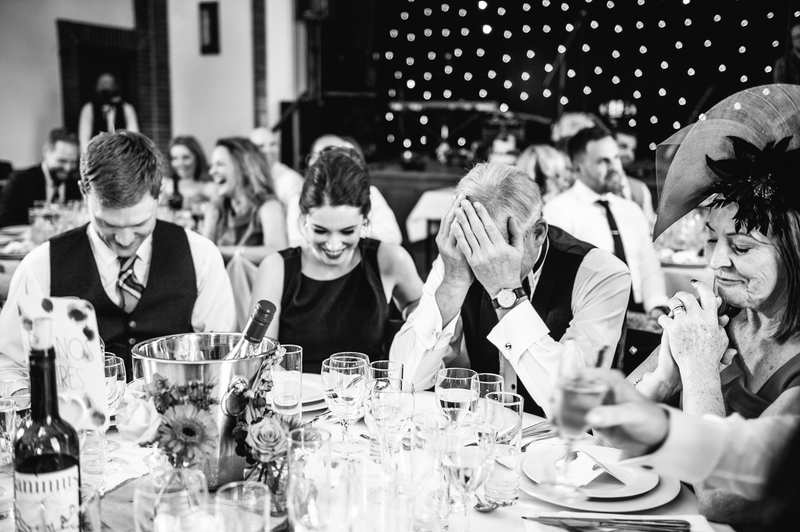 It was so funny. 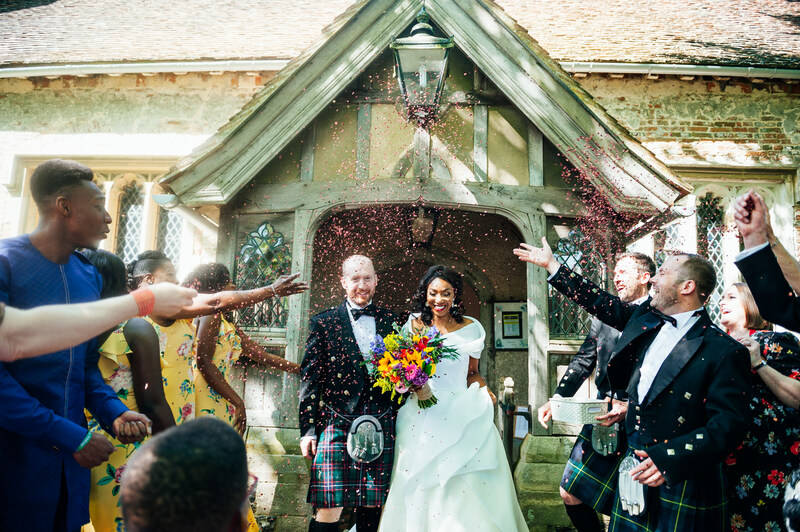 During the reception they had a cocktail drinks reception, which everyone loved. 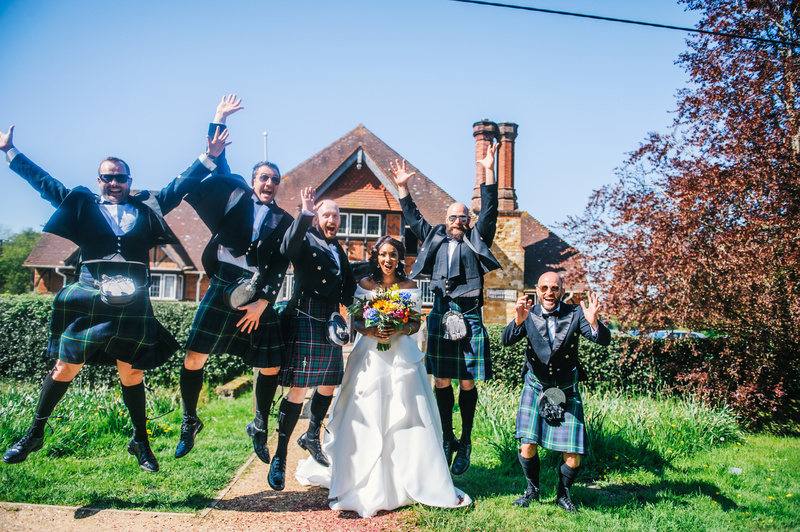 For dinner they had an selection of starters followed by curry made by Lee & his team from the local Falcon pub, and it was loved by all the guests. 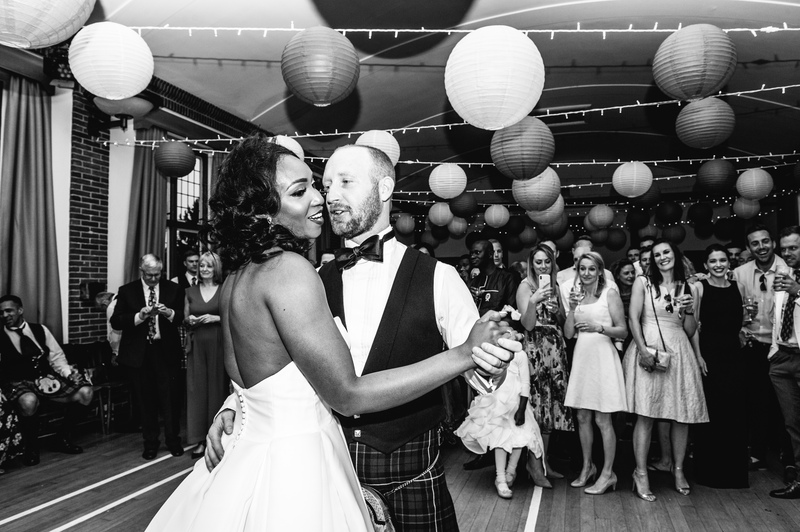 After dinner they had some wonderful speeches, then the party got started and the couple had their first dance. 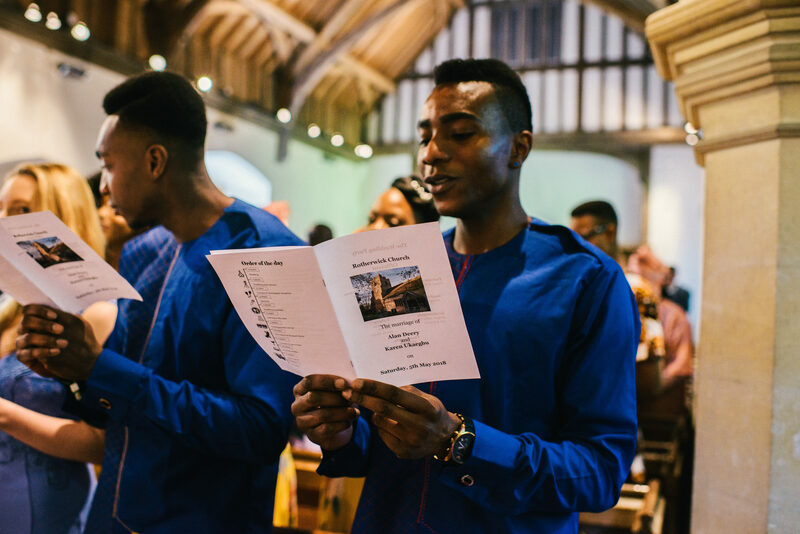 They also had live music, which was a huge hit. 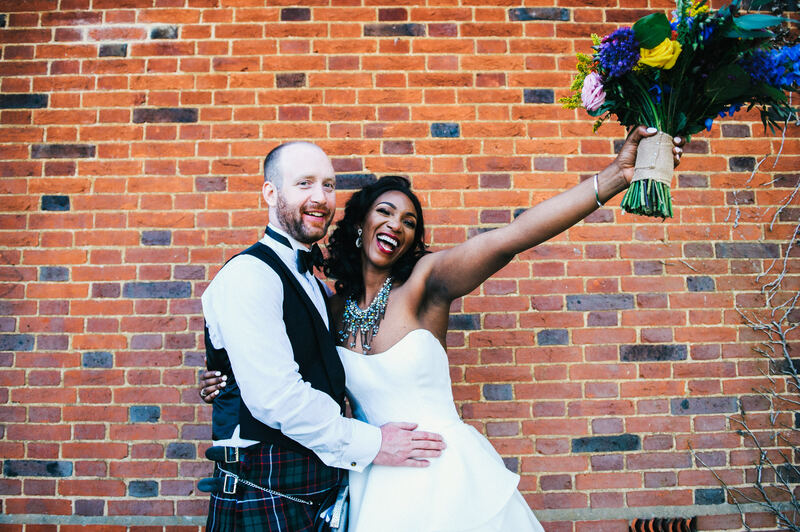 Karen and Alan met at University. 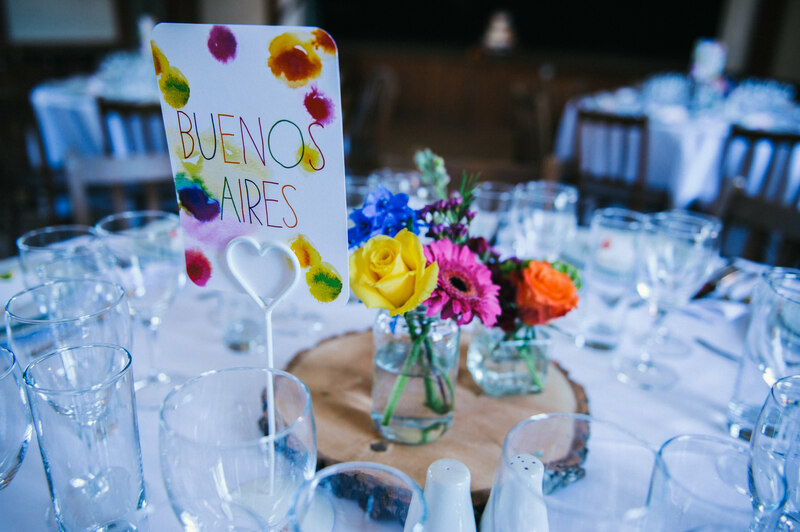 They say if you’re planning a wedding, be calm and organised and don’t worry about silly little things. 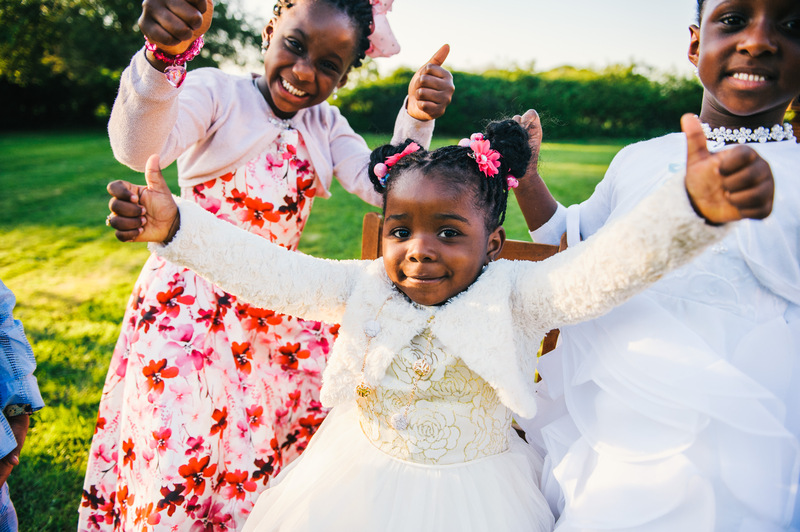 Just enjoy the day and spending time with your family & friends. 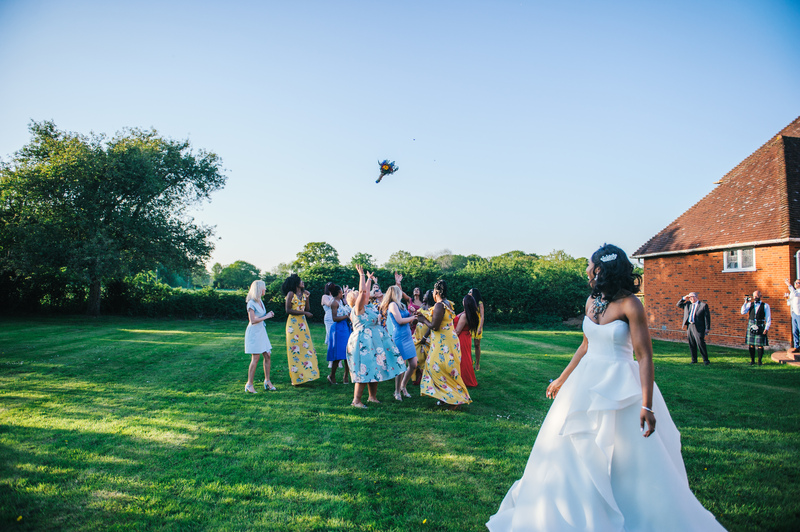 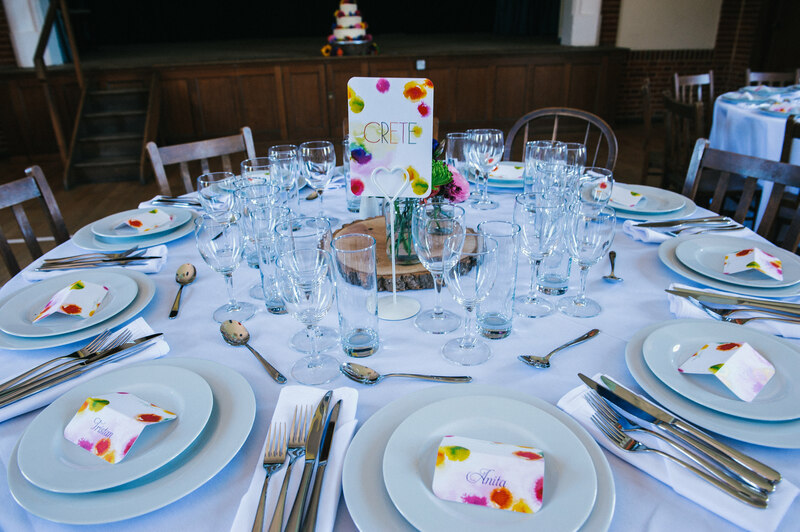 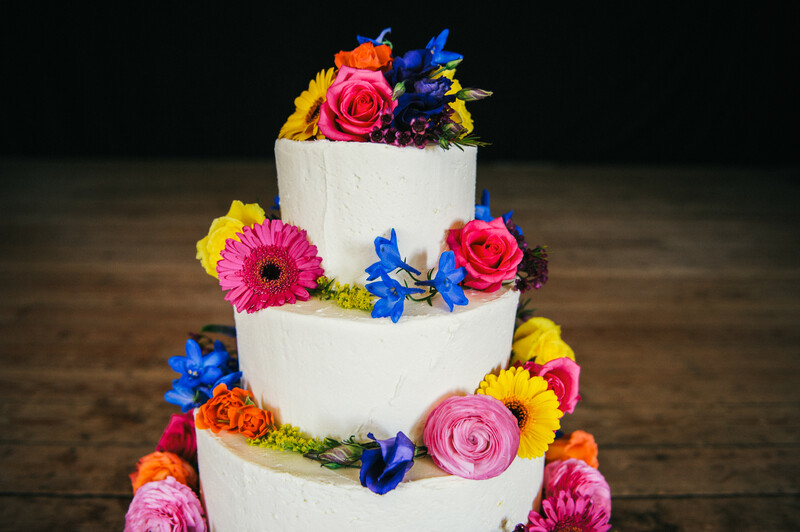 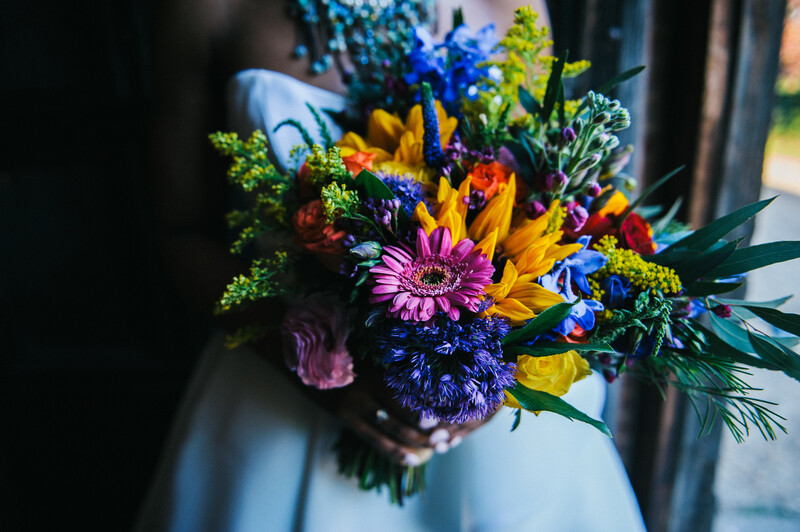 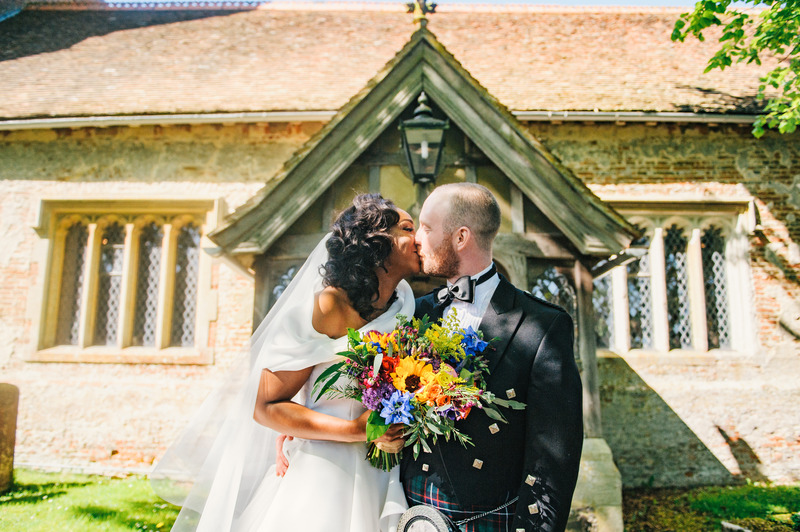 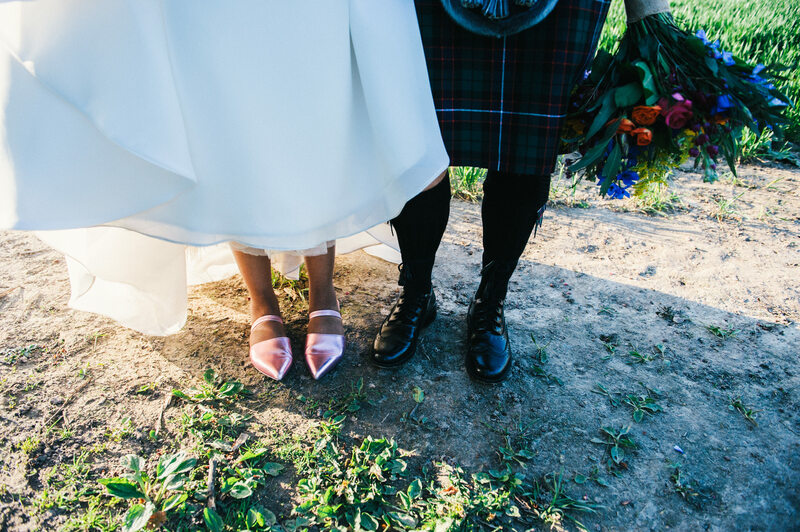 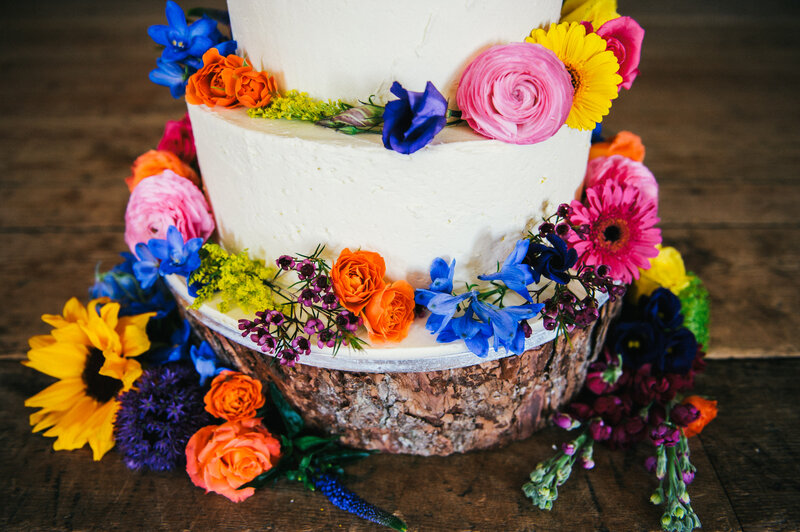 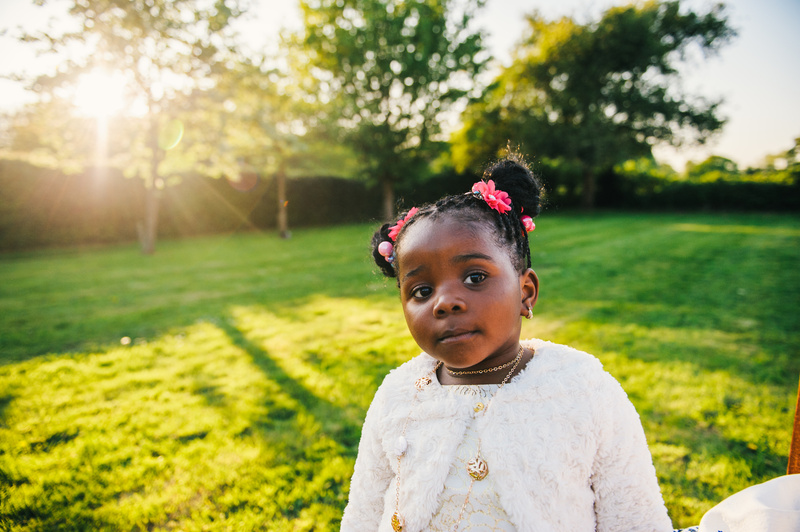 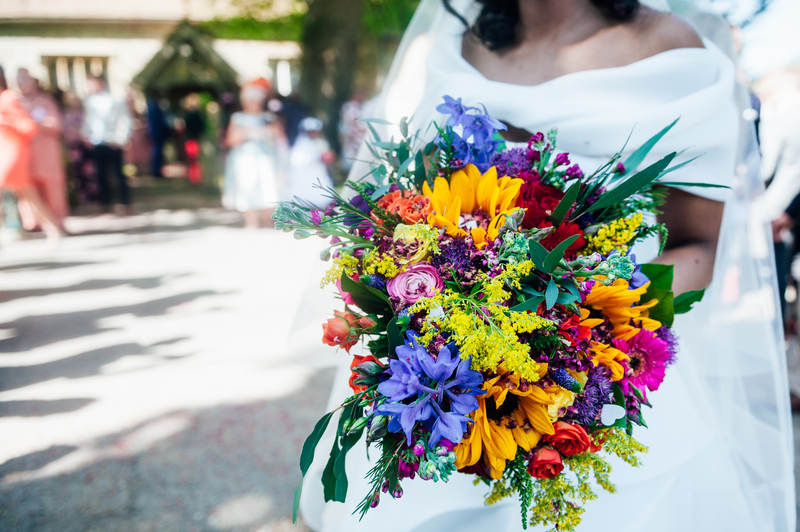 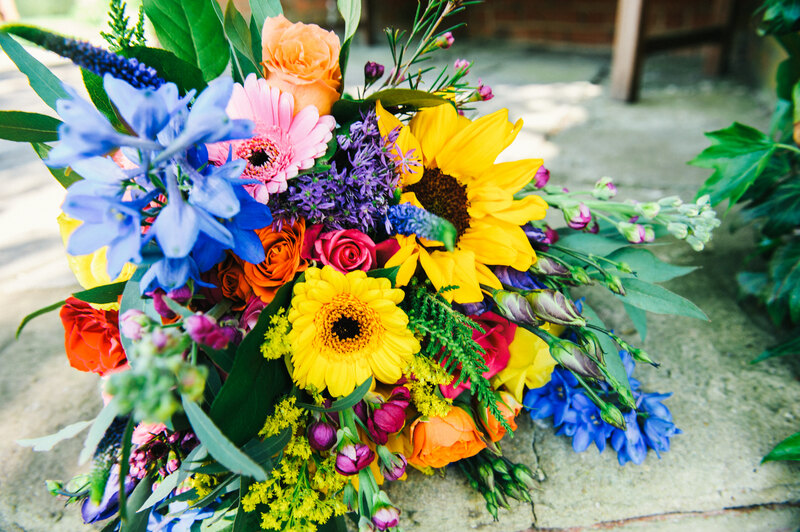 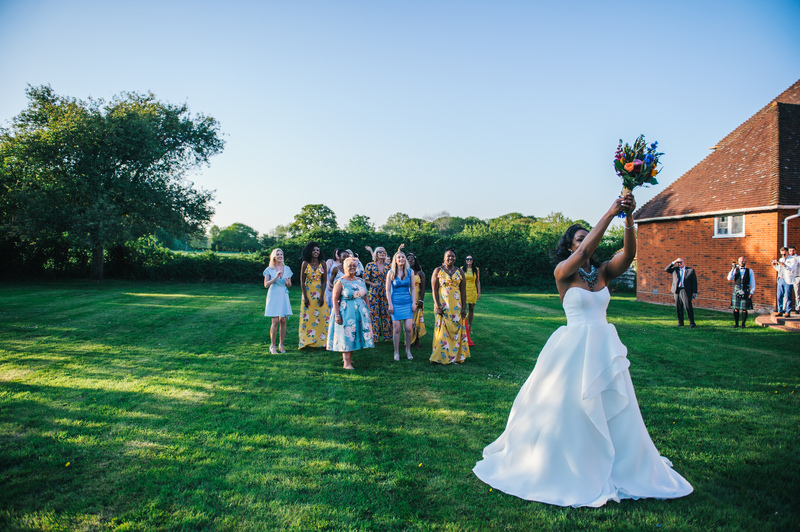 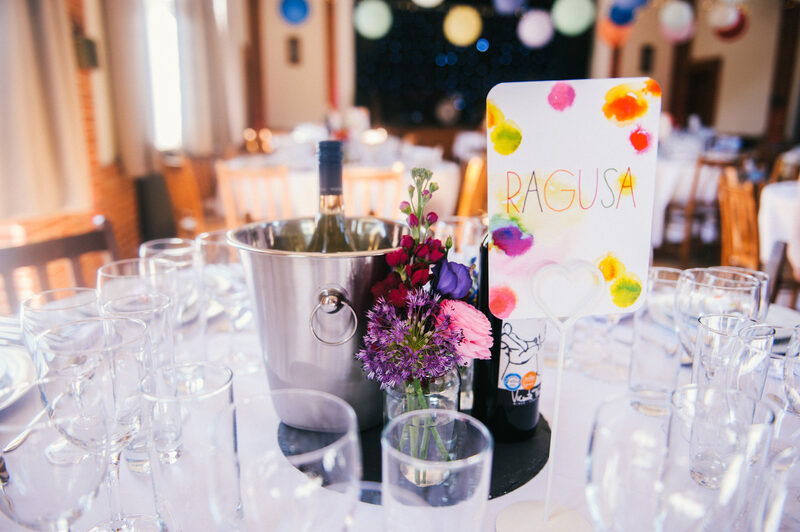 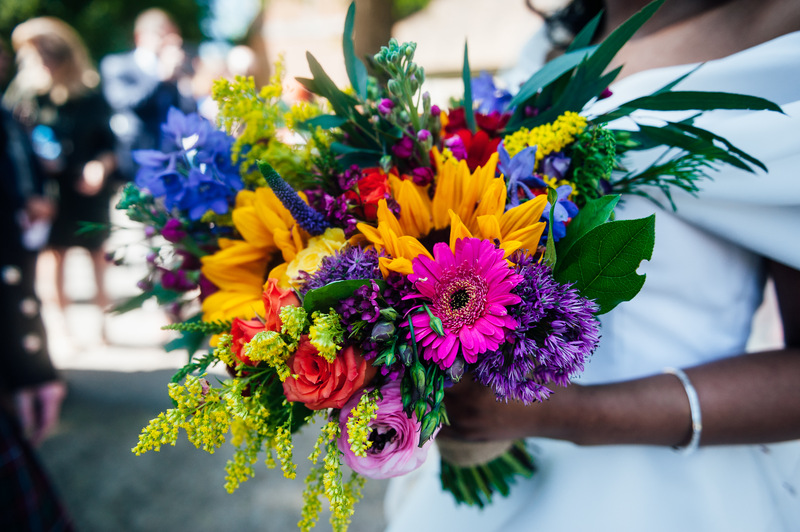 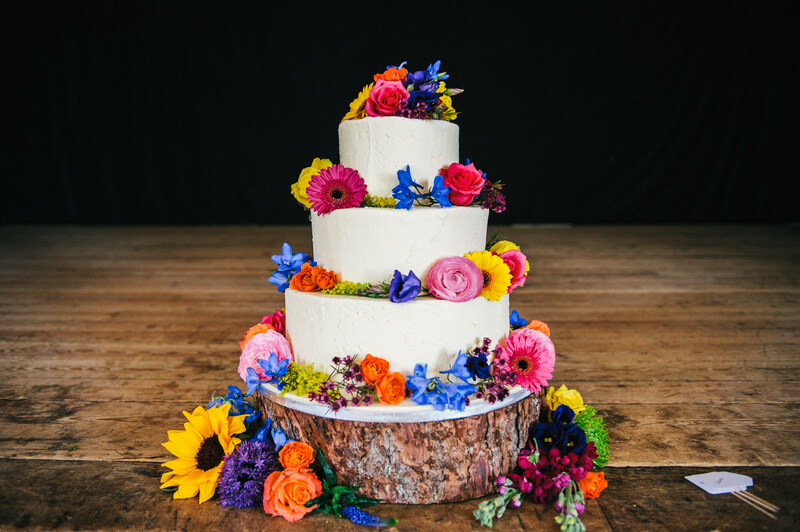 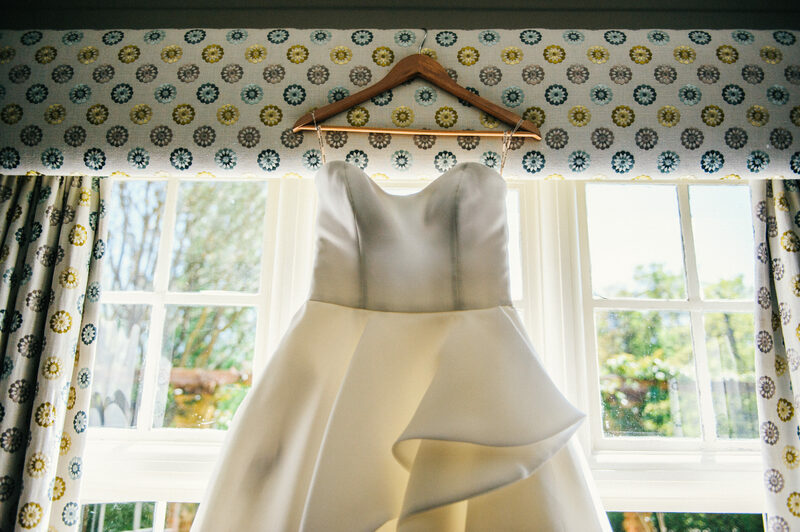 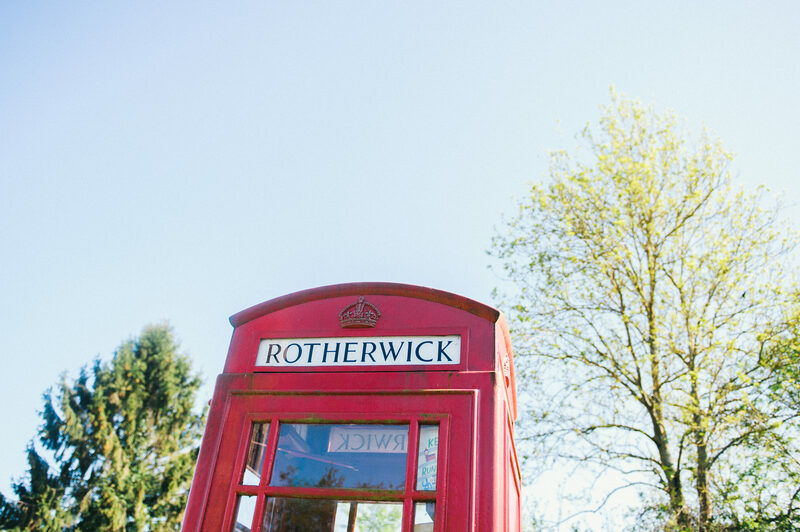 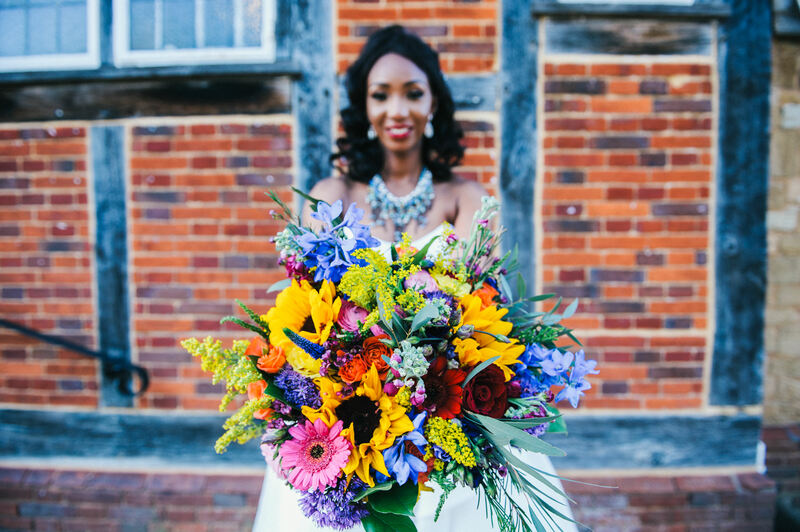 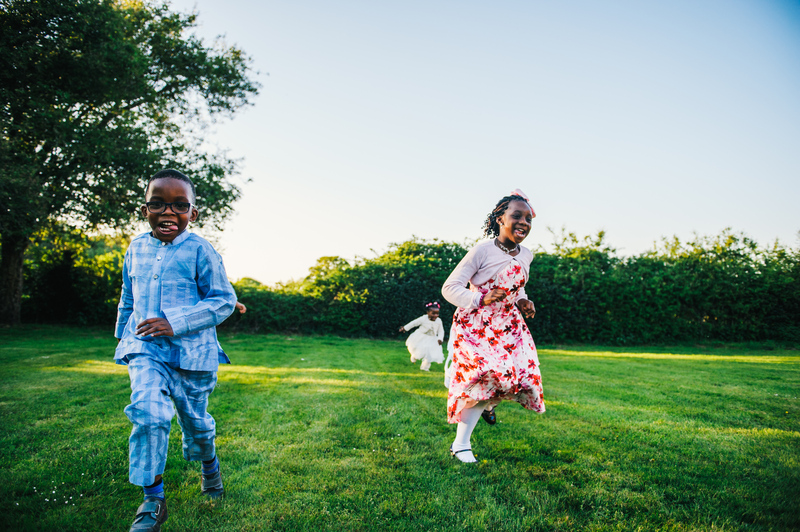 Here’s their colourful & super fun Rotherwick Hall wedding! 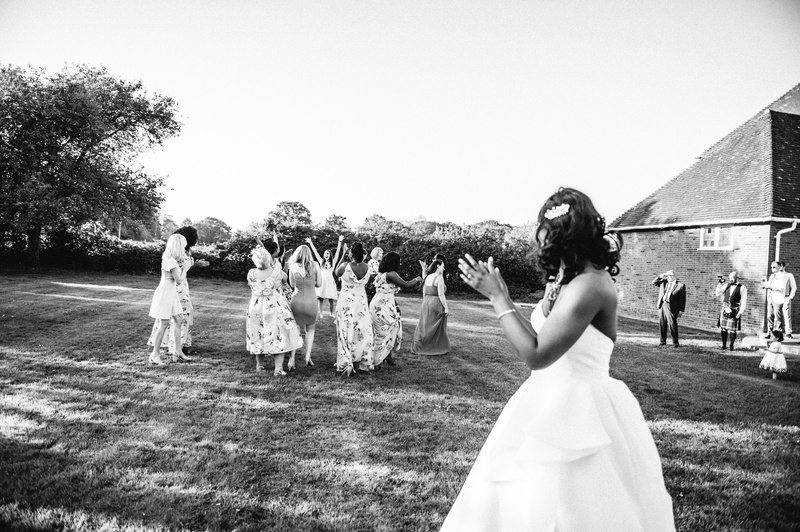 If you’re looking for a Fun & Quirky wedding photographer, get in touch!